Here at The Showroom we have amazing party packages to make your special event a day to remember! 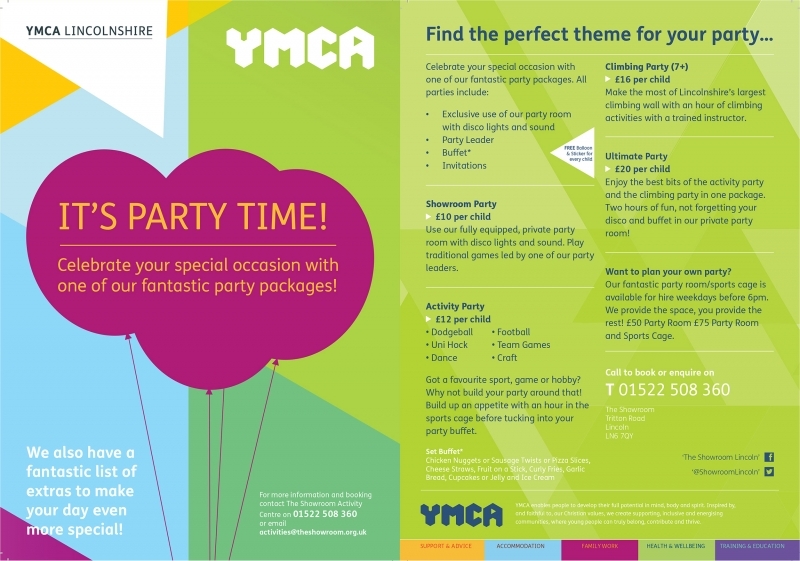 Whether you want traditional party games and food, or climbing and sports, we’ve got something for everyone. We offer parties for adults too; birthday, engagements, weddings. Call us on 01522 508360 to talk about how The Showroom can provide the perfect venue for your big bash. AMAZING CHILDREN’S PARTY PACKAGES TO MAKE YOUR EVENT A SPECIAL DAY TO REMEMBER! Call 01522 508360 or email Activities@theshowroom.org.uk. Minimum 10 people per party. “I was blown away by the food and the efforts put in by the activity team, from beginning to end, to ensure the children had a great time and the party was an outstanding success”.